Healthiness first! Especially in facilities like hotels, bed & breakfast places, hospitals, homes, youth hostels and many more mattresses/beds and upholstery are highly frequented and used by different people. In these places, a periodically cleaned mattress is a must have. For allergy sufferers, the allergy prevention (children) and for hygienic awaring people, mite- and dust-free beds are an important PLUS! Mattresses which are sprayed with sleepfree twice a year, gaurantee a yearlong, mite-free hygienic bed. 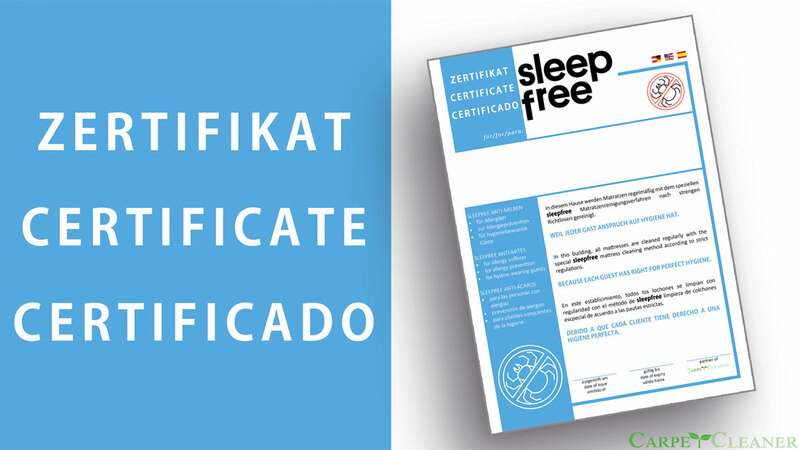 Set yourself apart from competitors and let your costumers know that you periodically clean your mattresses by showing the sleepfree certificate.